Shoyu Noodles w/ BBQ Pork | What's To Eat Today? In a large skillet heat oil and add bbq pork heat thoroughly. Add carrots, chili flakes, sesame oil and soy sauce. In a separate pot, bring water to boil and add noodles. Boil for 3 or 4 minutes. Drain. 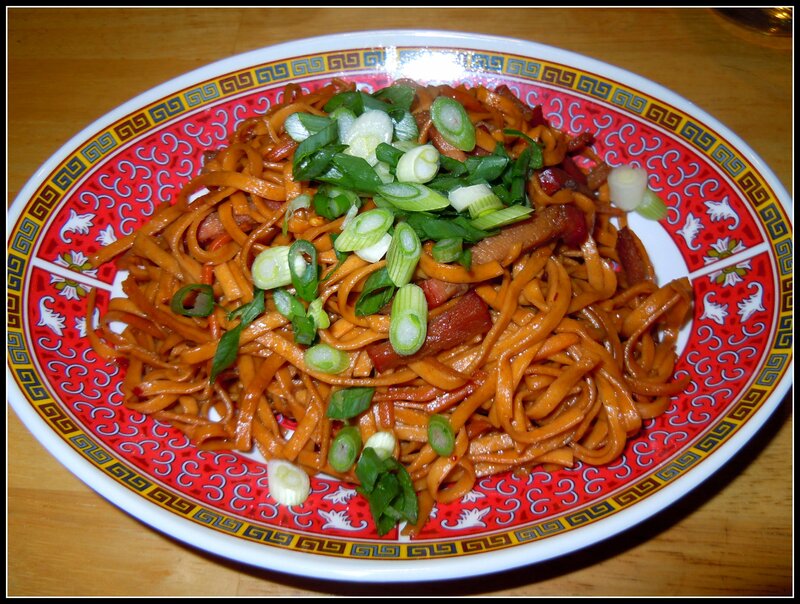 Add noodles to skillet and mix well with bbq pork & the other ingredients. Add more soy sauce and sesame oil to taste. Serve immediately and top with sliced green onion. You can add any other diced or julienned vegetable that you would like. Bean sprouts, sliced white onion, mushrooms, broccoli go well in this dish.